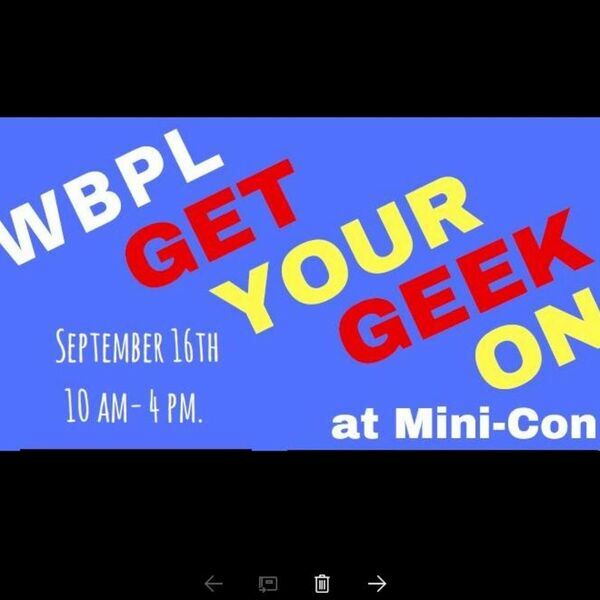 Description: Get ready to “geek-out” at the inaugural “Wasaga Beach – Mini-con” on Saturday, September 16th from 10:00 a.m. to 4:00 p.m. at the Wasaga Beach Public Library located at 120 Glenwood Drive. This is a “free event” featuring face painting, crafts, a costume contest, a comic book swap and workshops. Come celebrate your favourite superheroes including Star Wars, Harry Potter, Dr. Who, Game of Thrones to name a few. If you have a calling to the Dark Side – you’ll feel right at home with a special appearance by the Canadian Garrison (501st.ca), part of the world’s premier Imperial Star Wars Stormtroopers costuming fan club along with a number of guest cosplayers for photo ops. Joining Dianna for this week's BEACH CORNER is someone who knows all about these cons, our very own Catherine Thompson, on-air journalist and one of the organizers of the event. Catherine will share with us what you can expect at the Wasaga Beach Mini Con. Please enjoy & SHARE this great LOCAL program from Beach BOOSTER Radio! Get ready to “geek-out” at the inaugural “Wasaga Beach – Mini-con” on Saturday, September 16th from 10:00 a.m. to 4:00 p.m. at the Wasaga Beach Public Library located at 120 Glenwood Drive. This is a “free event” featuring face painting, crafts, a costume contest, a comic book swap and workshops. Come celebrate your favourite superheroes including Star Wars, Harry Potter, Dr. Who, Game of Thrones to name a few. If you have a calling to the Dark Side – you’ll feel right at home with a special appearance by the Canadian Garrison (501st.ca), part of the world’s premier Imperial Star Wars Stormtroopers costuming fan club along with a number of guest cosplayers for photo ops. Joining Dianna for this week's BEACH CORNER is someone who knows all about these cons, our very own Catherine Thompson, on-air journalist and one of the organizers of the event. Catherine will share with us what you can expect at the Wasaga Beach Mini Con. Please enjoy & SHARE this great LOCAL program from Beach BOOSTER Radio!